Toronto Lawn Mixed Invitational Grand Masters Champions Linda Love and Dennis Ing. 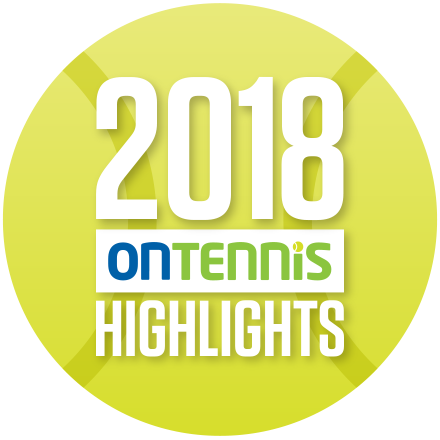 Once again the Ontario Senior Provincial Championships proved to be a great event with many compelling matches and eye-opening results. Thanks to the Boulevard Club and Lambton G&CC for again hosting the over 160 senior competitors… and the Toronto Lawn once again put on a great event for the annual Senior Mixed Doubles Invitational – beautiful weather, great competition and superb organization and hosting! Queensway Audi Senior Outdoor Privincials Women’s Doubles Over 45 Finalists Margaret Lansens Smeenk and Janet Hofstra and Champions Olga Tsymbal and Sandra Cimetta. Queensway Audi Senior Outdoor Privincials Men’s Singles Over 50 Champion Stephen Bourne and Finalist Mike O’Neill. Toronto Lawn Mixed Invitational Masters Finalists Kerry Mitchell and Glenda Hirvila and Champions Erin Boynton and Avi Singer.